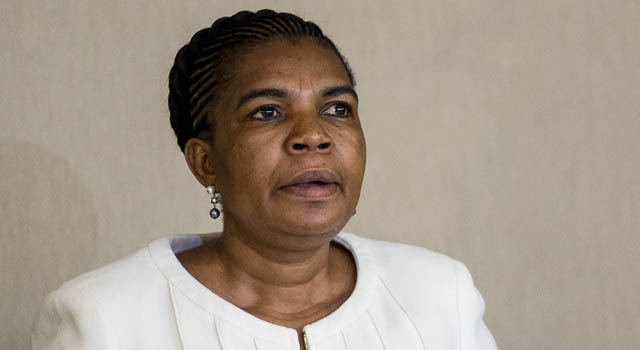 Disgraced former communications minister Dina Pule and her lieutenants at the department of communications (DOC) could be in very serious trouble. President Jacob Zuma on Thursday signed a proclamation asking the Special Investigating Unit (SIU) to probe alleged corruption involving the 2012 ICT Indaba and other controversial spending by the DOC — now known as the department of telecommunications and postal services — during Pule’s tenure as minister. 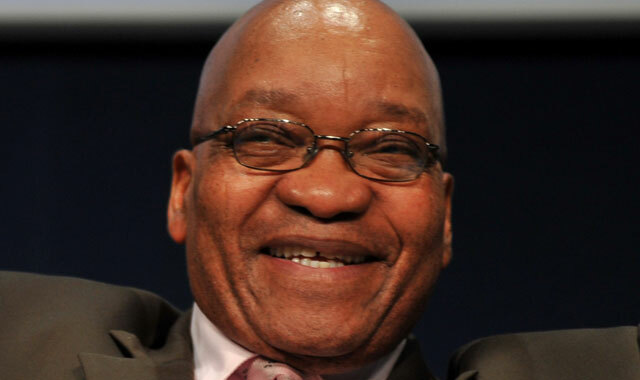 Among other things, Zuma has asked the SIU to investigate “serious maladministration” in connection with the affairs of the DOC and improper or unlawful conduct by its officials, including unlawful appropriation or expenditure of public money. Specifically, Zuma wants the SIU to probe the donation of R10m by the communications department towards the hosting and organisation of the controversial ICT Indaba, which took place in June 2012 in Cape Town. The SIU has been asked to probe allegations that this spending was “contrary to applicable legislation, manuals, guidelines, practice notes or instructions” issued by the national treasury and the DOC and was organised “by or through the improper intervention of employees of the department”. In addition, the unit must look into any related unauthorised, irregular or fruitless and wasteful expenditure incurred by the department or which resulted in the improper enrichment of parties involved in the hosting and organisation of the ICT Indaba. One of the central allegations to emerge against Pule was that her romantic partner at the time, Phosane Mngqibisa, benefited to the tune of R6m from funds provided by corporate sponsors of the indaba. A forensic report by law firm Werksmans found that Mngqibisa claimed the funds as a “management fee” having received access to the account for the event through its primary organiser, Carol Bouwer, thanks to pressure exerted by Pule. Zuma also wants the corruption-fighting unit to investigate travel and accommodation expenses or other benefits that were paid by the DOC to anyone who did not qualify for it. Mngqibisa travelled internationally with Pule at taxpayers’ expense. A year ago, parliament’s ethics committee found that Mngqibisa, through Pule’s influence, gained improper financial benefit. In particular, he benefited improperly from the R6m and through the DOC paying for his overseas trips and accommodation, the committee said. The recruitment, selection and appointment of an employee to a position that did not exist in the communications unit of the department. Improper or unlawful conduct by an official of the department that resulted in it purportedly breaching a contract concluded between the department and a company called Gitshasbaya Consulting. The procurement of and payment for services related to the ‘Nkowankowa event’ held in Limpopo on 21 June 2013 and a World Telecommunications and Information Society Day event held in Richards Bay in KwaZulu-Natal on 17 May 2013. According to its website, the SIU can take civil action to correct any wrongdoing it uncovers in its investigations. For example, it can obtain a court order to compel a person to pay back any wrongful benefit received and thus recover the money for the state. The SIU’s primary mandate is to recover and prevent financial losses to the state caused by corruption, fraud and maladministration. Where criminal conduct is uncovered, it will refer this to the Hawks and the South Africa Police Service. It works closely with the Asset Forfeiture Unit to recover the proceeds of crime. Another distraction event from the Master of Evasions? Just when he releases the “spy tapes” (after 5 years and R10 million of ducks & dives) and bans the Dalai Lama? They are investigating the WRONG ‘person of interest’ here, the cops should actually be focusing their magnifying glass on one Jacob Zuma, AKA No 1! Zuma was told and told repeatedly to fire Pule yet he stubbornly refused to do so as she was his pet crony of the month. Zuma is at fault and it’s time he was given the push! @Zuma, Have yourself investigated you thief! Not that Dina isn’t a lying thief, it’s just that you’re a bigger one! I would not say the wrong one. Pule is quite a thief. But yeah. A little late to get concerned now seeing as she was even made an MP in the mean time. The laughing deceiver does it again by trying to deflect the attention. If a leader of a nation is corrupt then what do you expect from everyone else. Who is the President answerable too?. He seems to be above the law. Mr President, you can hide behind your smoke screens, spin doctors and supposedly impartial speakers of Parliament but one day you will have to stand on your own and answer. “When leaders lose their conscience and humanity, we have much to fear”. It’s insulting, yet again, that he actually thinks people will fall for this BS tactic. What he doesn’t seem to realize is that he can’t chastise JUST one without appearing a right fool (which he does very well btw), and by that token he’d be out of a cabinet were he to adopt a blanket approach. Epic fail mr. president, you don’t deserve upper case. Until someone actually goes to jail and stays there, everybody sees this as window dressing… nothing more.